Cask Champion receives Lifetime achievement award from Parliamentarians. Cask Marque’s own Paul Nunny has been honoured by Parliament for his contribution to the beer industry. Paul was presented with the Lifetime Achievement Award by the All Party Parliamentary Beer Group at an event in Westminster attended by over 150 MPs and Peers. During his 45-year career, Paul a qualified Chartered Accountant by profession has been a director at Lay & Wheeler Wine Merchants and Adnams Brewery – and is a non-executive director at Sambrooks Brewery in London. He has been involved in setting up a number of organisations that have contributed positively to the industry. These include the Beer Academy and Cyclops, a beer descriptor scheme. He was one of the four founders of Cask Marque, the beer quality organisation, in 1997. 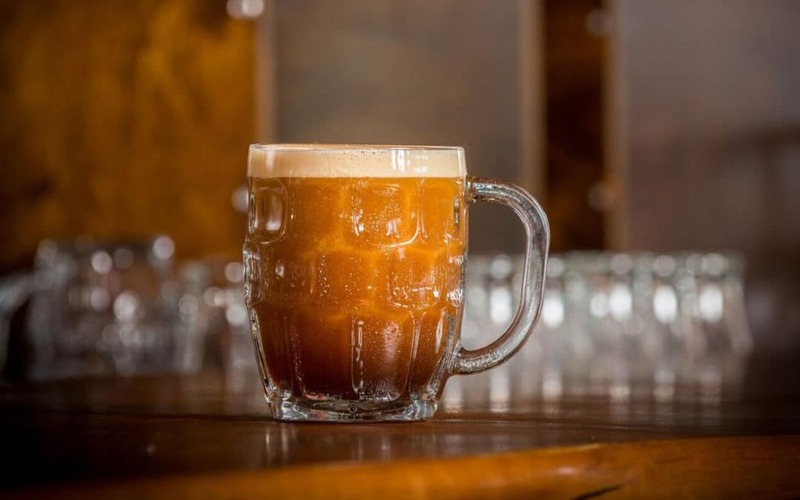 Setting up its headquarters in Colchester, he has since taken it from strength to strength – to the point where 10,000 pubs across the country have now reached its exacting standards for the quality of cask ale. “It’s no exaggeration to say that Cask Marque has transformed the quality of cask ale sold to pub goers across the country,” says Mike Wood. His most recent venture has been the creation of ‘Stay In A Pub’, a website to encourage people to use pub accommodation, making booking easy, and supporting the pub and brewery industries in the process. Paul is known across the industry as champion of Britain’s national drink – cask ale. He had gone to the Beer Group dinner unaware that he had been nominated – let alone selected – for the award, and was utterly delighted.